• 16:00 Wir haben es satt! 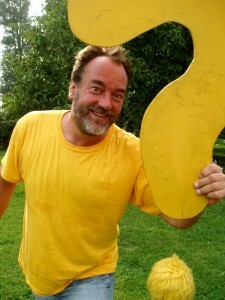 walking around with a yellow question mark, Richard connects people with eachother and with their own creativity. 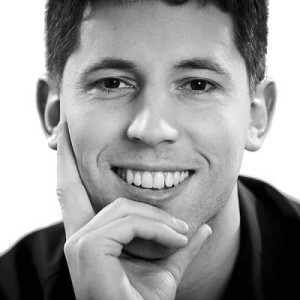 In this short talk he will share his findings and invite you time embody your own question. Changing Berlin, one question at a time. 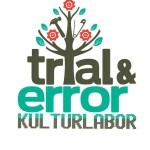 Trial&Error is Berlin based collective of artists, cultural workers, craftivists, doers and activists. They have shared interests in DIY culture and craft, non-formal education, open design, reuse of waste and open source culture. They are looking for ecologically and socially sustainable ways to live in the city and to activate local people to participate. The area they are working in Neukölln has amount of social and economical problems due to unemployment, immigration and poverty. 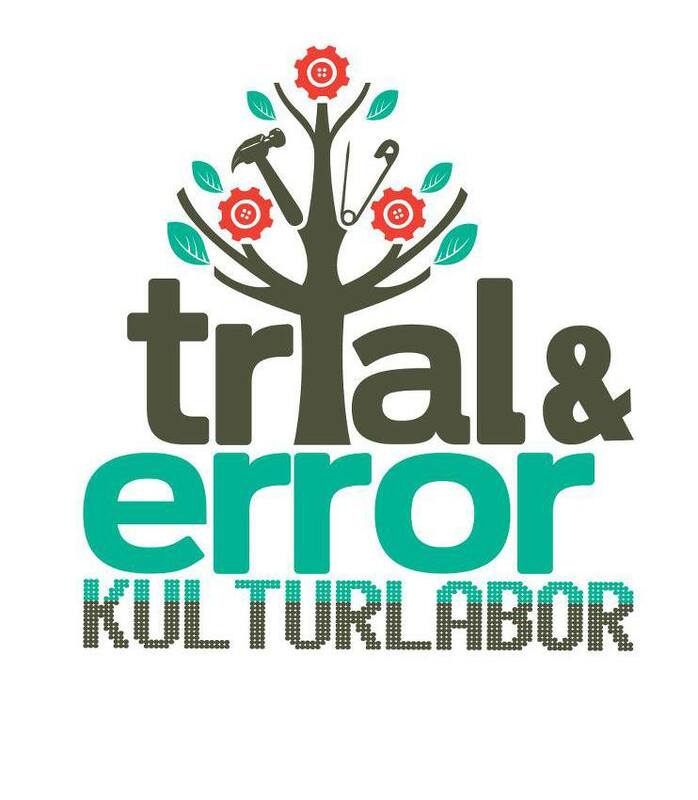 Trial&Error is one possibility for locals to take part in neighborhood activities and strengthen community in sustainable way. Green Buzz e.V. is an association to support sustainability on regional and international level through research, education and networking. 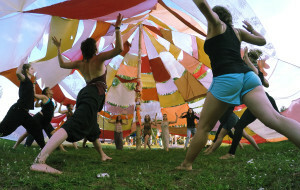 GreenBuzz connects actors from various areas of society to inform and facilitate synergies. 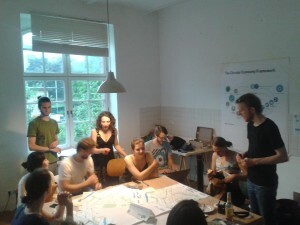 To get closer to this goal, GreenBuzz Berlin started organizing Sustainability Drinks, a regular networking event to bring together the sustainable community in Berlin. With respect to the “P.E.A.C.E.S.” framework, GreenBuzz Berlin provides research, education and networking possibilities. Through this it contributes to the development of projects as well as the personal development of individuals. Each event focuses on ecological topics as key aspects, but also addresses economic aspects. Cultural aspects, information exchange and the aim to learn from each other and from our differences are at the core of our work. Ecosia is the search engine that plants trees. We donate at least 80% of our profits from ad revenue to a reforestation project in Burkina Faso. Search the web, plant a tree! Cradle to Cradle will present their local work in Berlin and the concept of C2C – Is it possible to create a future without any waste. And if so – how? What are the challenges and opportunities of a circular economy? „Berlin im Wandel“ is a web-based social network for people, associations or companies involved in a social and ecological transformation of our society. Combining social network, local newspaper and a Berlin map, this project originally comes from Italy, where the association Italia Che Cambia has already implemented the idea successfuly in different regions. 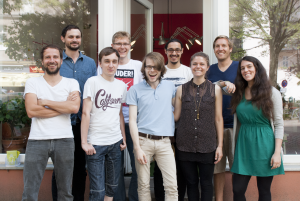 Now it’s coming to Germany and we are proud to present the first regional platform, berlin.imwandel.net! Kiezpopcorn ist eine multimediale Plattform über nachhaltige und kreative Projekte, Initiativen und Start-Ups, die einen Einfluss auf die Kultur und das Leben hier in Berlin und darüber hinaus haben. Auf je einer Projektseite zeigen wir mehr von den Projekten und fragen in einem Interview nach den Visionen, der Umsetzung der Ideen und zeigen in Bildern ein Stück von ihrer Welt. Monatlich holen wir im Wochenrhythmus kostenlos 3- 4 Projekte nach Kiezpopcorn, um eine größere Sichtbarkeit in den sozialen Medien insbesondere für Starter für zu erreichen. Mitte Juli gingen wir mit den ersten Projekten aus dem Bezirk Friedrichshain | Kreuzberg an den Start. Neben der Plattform gibt es einen “Kiezpopcorn Stammtisch”, bei dem sich die Initiatoren treffen und austauschen können. Wir möchten einen Ressourcenkreislauf zwischen den Teilnehmern etablieren, um die finanziellen Belastungen der einzelnen Projekte zu reduzieren, die die Initiatoren vor allem in der Anfangsphase belasten und ein Risiko darstellen können. Good Impact is a new platform which accompanies social change, consisting of the sections magazine, jobs and events. We cover new solutions for today’s social challenges and show up opportunities to get involved. In our presentation we are going to focus on our constructive news approach. Open Source Circular Economy Days is a diverse & globally distributed event using Open Source methodology to build a Circular Economy. Experts and innovators from the fields of open source hardware, software, data, design, circular economy, waste, resource management and the collaborative economy will work together, globally connected, in order to develop, exchange ideas and prototype systems, products and designs for an Open Source Circular Economy. It happened this year in 33 differents cities around the world. 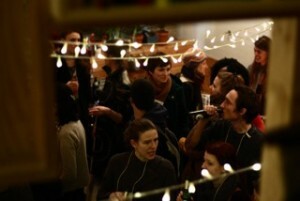 The sessions in Berlin took place at Agora collective and gathered more than 200 people. Our Vision: We share the vision of a circular economy. An idea for a truly sustainable future that works without waste, in symbiosis with our environment and resources. A future where every product is designed for multiple cycles of use, and different material or manufacturing cycles are carefully aligned, so that the output of one process always feeds the input of another. Rather than seeing emissions, manufacturing byproducts, or damaged and unwanted goods as ‘waste’, in the circular economy they become raw material, nutrients for a new production cycle. naturtrip.org is a new website that is suggesting the perfect trip for You! Usually you just do know what you want to do – but not where to do it. On naturetrip.org you just type in where you want to start your journey and how long it should last. The results will be in your local area – around Berlin and Brandenburg. 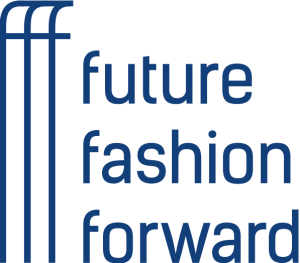 Arianna Nicoletti and Hannah Ringwald will present the NGO „Future Fashion Forward e.V.” with its current and future projects. 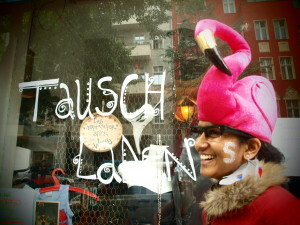 The main focus will lie on the coordination of the Fashion Revolution Day Germany. Heart and Soil is our effort to bring an old Portuguese Farm back to life. From olive groves several hundred years old to modern off-the-grid solar and irrigation technology, this talk will offer some insight into the adventures of tree-planting, water-management and living in central Portugal. We are committed to tackle food waste that is taking place on a major scale day by day. We are collecting surplus food from markets, farmers and restaurants and turn them into healthy, delicious meals provided to those in need. We want to help to reduce food waste by turning surplus fruit and veg into delicious and healthy meals that are provided to the community. Also we bring people together and share the joy of cooking and eating together while serving a great cause of preventing food waste.